Taiko Saito was born in Sapporo. She took lessons with marimba-virtuoso Keiko Abe and studied classical marimba and percussion at the Toho School of Music. In 1997 she began to improvise and to write music, which led her to move to Berlin, where she studied vibraphone and composition with Prof. David Friedman at the Universität der Künste Berlin. Among her first awards are prizes of the World Marimba Competition 1996 in Stuttgart and the NTT-Docomo Awards 1998. At the Jazz & Blues Award Berlin 2002 she was awarded first price as well as the audience prize. Later she won the First Prize at the 3eme Concours International de VIbraphone Claude Giot 2005 in France, and the Special Talent Award at the Universal Marimba Competition 2007 in Belgium. In 2010 she got the Studio Prize from Belriner Senats. In 2003 she founded the marimba/vibraphone+piano duo with German jazz piano player Niko Meinhold. They performed at events such as the Reykjavik Jazz Festival (Iceland), Tong-Yeong Music Festival (South-Korea), Zeltsman Marimba Festival (USA), Jazz Meile (Germany), JOE Festival, Jazzfestival in Bonn, Colombia and Japan. Their album “KOKO” was released in 2005 by Pirouet Records and new album “Live in Bogotá” was released in 2014. Together with Rupert Stamm, she also created the jazz mallets duo “PATEMA”, who’s recording was released by Zerozero in 2007. They performed at events auch as the Worms Jazzfestival, Jazz in den Ministergärten and Japan Festival. In 2008 David Fiedman produced her solo project and recorded the album “Landscape” by Norsk Musikforlag. As a soloist, Taiko has appeared with the Sapporo Symphony Orchestra and with Orchestra d´Auvergne in France, and presented concerts and given masterclasses at the Universidad Javeriana de Bogotá (Colombia), International Mycka Marimba Akademie (Poland), Rotterdams Conservatorium (Netherlands), Shobi School of Music, Otani College of Art and at the Percussion Society Hokkaido (Japan). She was also a jury member of International Vibraphone Competition 2008 in France. As a composer, Taiko won the originality prize in the International Marimba Competition 2004 for “Landscape IV”. 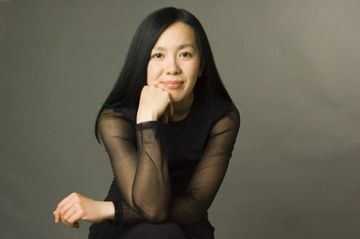 In 2008 she wrote “Hide and Seek for 9 percussionists”, commissioned by the percussion ensemble “coup de baguette” and she arranged David Friedman´s ” Sogni D`oro” for 5 mallets player, commissioned by Friedman in 2011. Taiko played with Keiko Abe, David Friedman, Tom van der Geld, Eric Sammut, Michael Schiefel, Celine Rudolph, Daniel Matter, Yelena Kuljic, Cymin Samawatie, Kazuhisa Uchihashi, Oli Potratz, Ketan Batti. She worked with hip-hop artist and producer Shing02 and contemporary composer Sofia Gubaidulina. © 2017 Taiko Saito All Rigts Reserved.